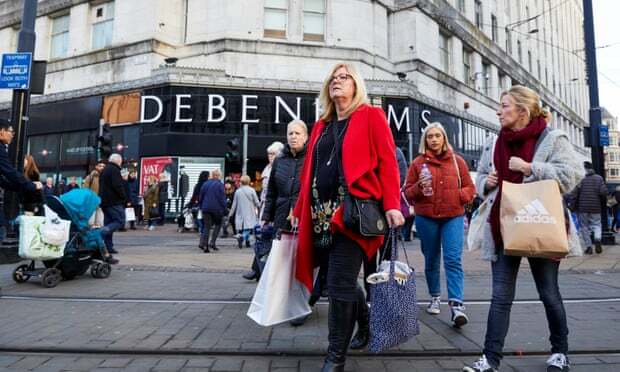 Debenhams has secured a cash injection of £40m, giving it more time to arrange a longer-term refinancing and store closure plan. The ailing department store chain, which has 165 outlets and employs 25,000 people, has been battling to reach a deal with its banks and bondholders after a difficult Christmas capped off a lacklustre 2018, during which it issued three profit warnings. Sergio Bucher, the chief executive, hailed the new 12-month credit facility as a “first step in our refinancing process”. Debenhams said it would continue talking to its lenders about a comprehensive refinancing. The rescue process is expected to involve the closure of tens of stores and lenders taking a stake in the company. News of the cash injection saw Debenhams’ shares jump 30%, to just over 4p. The firm also announced a new sourcing partnership with Li & Fung, a Hong Kong-based supply chain manager. Bucher said this would be key part of the company’s turnaround plan, giving it access to state-of-the-art technology in the LF digital platform, enabling it to respond more quickly to trends and customers’ preferences. The company previously had £520m in debt facilities in place including £320m of loans and £200m of bonds, which are due to be repaid next year. Without the short-term overdraft extension, it risked breaching the terms on its debt when it faces a test on its financial health at the end of February.